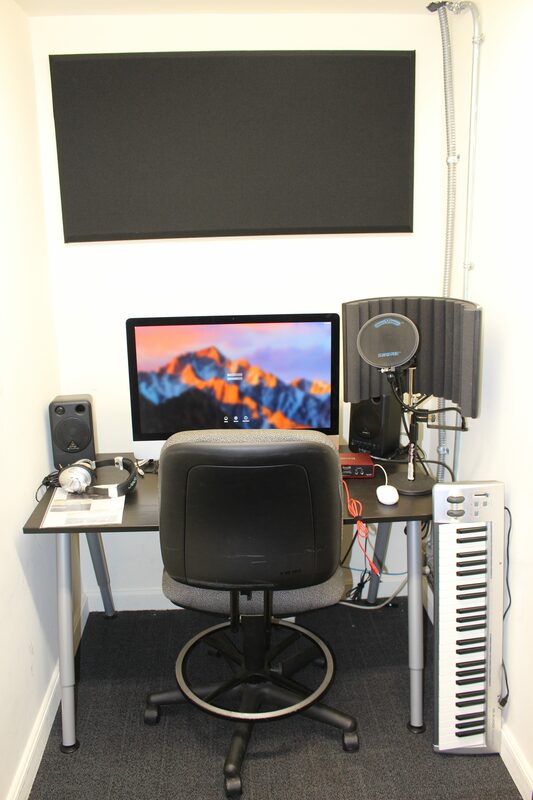 Our three Podcast Nooks are partially sound-proofed and furnished with an iMacs, a Casio Electric Keyboard, Audio Docks and a set of microphones and speakers. Podcast Nooks are nice and quiet, perfect for when you’re working on creative projects, or trying to get a recording without background noise. They have always been popular spaces for musical recording and podcast projects. Reservations for these rooms can be made by calling or emailing the media center. These are very popular work spaces, so please reserve Nooks ahead of time to ensure that you have a spot. While you’re there, reserve some of our audio equipment too to make sure you get a great recording.